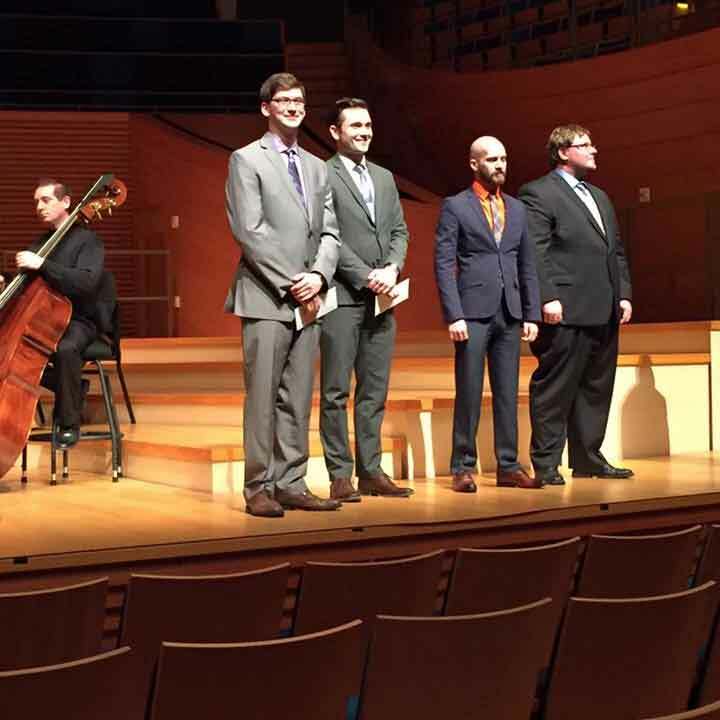 ST. LOUIS – Webster University senior music education major Connor R. Scott took first place in the inaugural Student Conducting Competition, hosted by the Southwestern division of the American Choral Directors Association, on Wednesday, March 9, 2016. The event was held in Kansas City. The three-round competition finished with three undergraduate conductors leading and rehearsing two pieces with a demonstration choir from Arkansas, adjudicated by choral experts from Oklahoma, Kansas, Missouri, and Texas. Overall, 32 students entered the undergraduate category. Scott was awarded $250 prize money in recognition of his prowess. Other finalists were from Bethel College (Kansas) and Texas Tech. In the graduate division, both winners were from state schools in Colorado. Scott said he first had to submit a video that demonstrated his work to be accepted into the competition. During the two-day event, Scott worked with a high school choir from Bentonville, Arkansas. While he had not met the choir prior to the competition, he knew and studied their song choices for several weeks in advance. The focus of the competition was to demonstrate conducting prowess -- gesture, ability to gain results, demonstration of musicianship -- within an 8-minute segment for each round. Scott led the choir in rehearsing two pieces of music in the semi-finals, and a different two pieces in the finals.